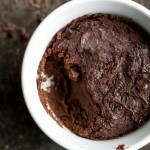 Transfer dough to your greased ramekin, topping with a few extra chocolate chips and a sprinkle of sea salt, if desired. Bake for 18-20 minutes, until the centre has set and the bake has reached your desired consistency. * Feel free to use any nut butter you have on hand. 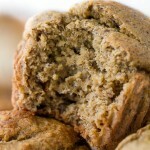 ** If you don't have almond meal, you can replace it with an equal amount of oat flour. To make oat flour, simply grind rolled oats in a food processor or blender until they reach a floury consistency. *** Feel free to sub with raisins or nuts for some added nutrition. 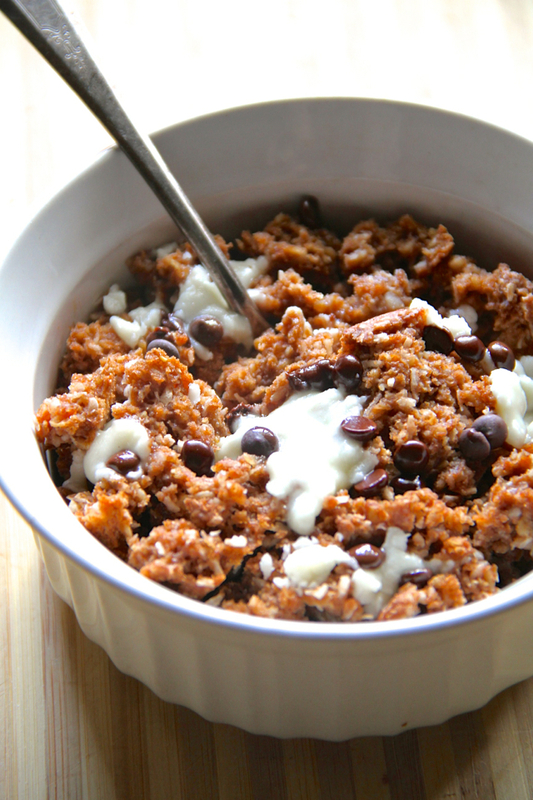 Looking for more healthy breakfast bake recipes? Try one of these! Chocolate for breakfast: yay or nay? Do you prefer your cookies crispier or slightly underbaked and ooey-gooey? « . thinking out loud #75 . Brilliant! Breakfast tomorrow, foe sho! Ha, I love the last picture. I am going to try this! I bet I wouldn’t even be able to notice the almond butter that much. Peanut butter I hate but almond butter I can tolerate! Basically, you had me at cookie dough! This looks delicious Amanda! I favor slightly under baked, ooey-gooey cookies. Hope your weekend is grand! Oooey goooey cookies all the way. There is a place in the UK called Millies cookies and their cookies were so melty and gooey and warrrrm. Me and My Mum used to share a big bag of them after our McDonalds (wow…) in my not so healthy days…This looks like a healthy way to re live those badboys! Thankyou! literally drooling over this right now! Awwr! It’s been rainy and cloudy here for the past couple of days too. I like that it’s getting warmer, but I wouldn’t mind some sunshine! Not gonna lie, I waited to make breakfast until I read this post because I KNEW I was going to need to eat this asap. Off to the kitchen to whip this is up! Cookie dough for breakfast – best.thing.ever. Pinned! Definitely! 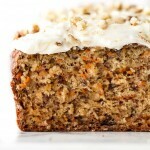 It’s mostly just for texture and a little bit of sweetness, so banana is perfect. 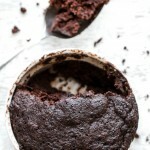 Like you, I adore adore adore chocolate in crispy or ooey gooey cookie form or bars or oatmeal or soups, for breakfast, lunch, dinner or dessert -it is always welcome! 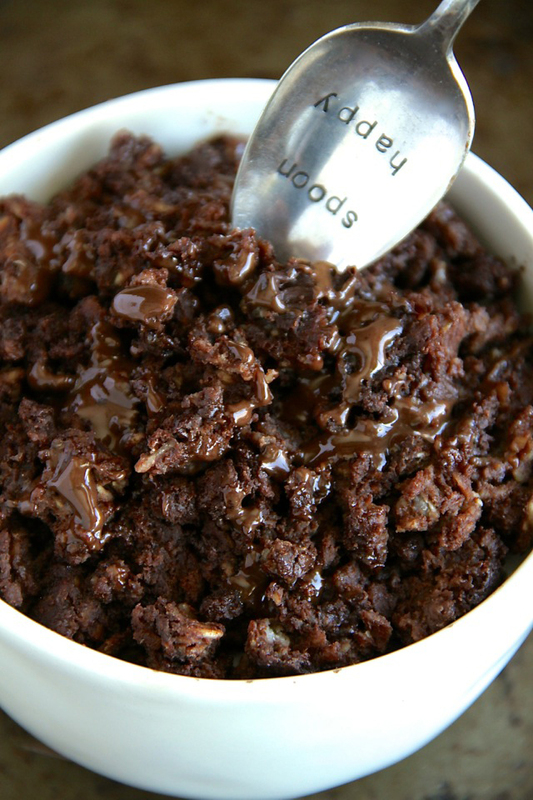 Chocolate for breakfast=yes please. Also, that baby spoon is adorable. You are a genius!!! So, so making this soon!! Well this looks absolutely delishous. You neeed to make a cookbook! It’s on the [seemingly never-ending] to-do list! Very rarely do I wake up wanting chocolate in my breakfast which is strange coming from the queen of dessert, chocolate fudge and former routine eater of cocoa pebbles for breakfast. I forgot I used to make a version of this only using banana in place of apple sauce and peanut butter in place of almond. 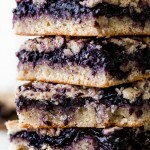 I think I need to try this recipe especially since I have oat flour on hand to avoid my almond issue. And now I even recall that I bought the cutest ramekins for dishes like this! Chocolate for breakfast always! This is sad but I immediately thought this would be perfect for my afternoon snacks haha! I love this recipe! I love how you can have this for breakfast and dessert! Looks yummy! If you can’t find applesauce, you can always sub it with some mashed up banana! Yummy. This looks amazing. I’m a huge advocate for chocolate in the AM! Just need to go out and get some apple sauce and get this bad boy in my belly. That looks good! 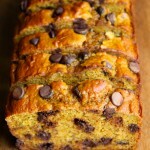 I don’t think that I could do the chocolate chips so early in the morning, but I’d love some apple chunks or raisins. I am a crunchy cookie person. It’s all about the texture. Underbaked and gooey is the only way to go for me when it comes to perfect cookies. Unfortunately, not everybody appreciates this and I got the “are you sure you baked them long enough? ?” comment before. Tssss… some people don’t know what’s good. “Well, this isn’t one of those recipes” <- what everybody likes to say and I usually shake my head in disbelief [I'm sure you know which kind of recipes I'm talking about] but – feel honored 😉 – I'm taking your word here. Because it really sounds amazing. 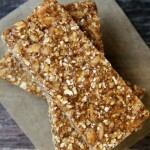 We're talking almonds, honey and oats – how could it not be?! Haha, sorry but I think it’s -so- cute every time you mention your fear of salmonella. Either my mum really didn’t warn us as children. Or we just pretended we didn’t hear her because I’m sure both me and my siblings have eaten a lot of raw cookie dough during our childhood. I promise you’ll be fine if you ever dare to try it :). Oh MAN I wish I had seen this before breakfast today! I totally would have made this! I have friends coming in town tonight, so maybe I should make this for them! Is this for real?! Looks/sounds sooo ridiculously delicious. 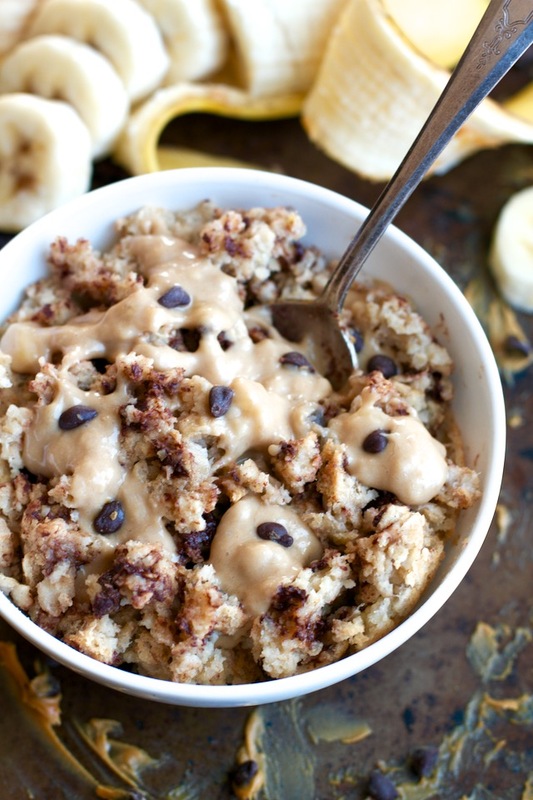 Anything oats + cookie dough + chocolate chips and I am all in. And I am totally the same way as you– breakfast is the only thing that pulls me out of bed in the morning, and boy does it thrill the crap out of me when I have a heavenly bowl of overnight oats waiting for me to dig into!!! Considering the only flavored coffees I like have mocha in them, chocolate for breakfast is fine by me. Give me a plate of chocolate chip banana pancakes and I’m GOOD to go! And I’m definitely a huuuuuge batter eater… To the point I’ve made myself sick on multiple occasions (I’ll never learn), so I definitely love my cookies ooey-gooey and straight from the oven! Your photography looks AWESOME. Love the photos! love my some baked oatmeal 🙂 plus dessert for breakfast? huh yes please. This look amazing!! I can’t wait to try it! Quick question. Is Almond Meal the same as Almond Flour?? Sure is! I use the one from Bob’s Red Mill. You know my attitude towards chocolate. All day every day. Ooey-gooey!! The softer the better. Now we need that coffee date (did you see IG??) and this. Paradise. Oh my goodness, this is like desert for breakfast. I wonder what this would be like with flaxseed? I’m going to try it this weekend. I’m with you on the oatmeal for breakfast! That and coffee is what gets me through my morning workouts! This looks SO good. Forget breakfast I’m making this for dessert with some yogurt on top! Breakfast tomorrow. Done and done. This looks so yummy! You really do like cooking with oatmeal. Your recipes always sound so delicious! 😆 Yup, oats are probably one of my favourite things to eat and work with. I just love the texture and flavour they add to… well… basically anything. Considering a move to Canada SOLELY so that I can eat all your delicious creations! Looks super-tasty! If I hadn’t just eaten lunch, I’d seriously whip it up right now. Maybe that’ll be my snack tonight 🙂 Thanks for sharing! yum in my tum! love cookies, love breakfast.. so WIN WIN! Promise not to defriend me but despite my love for chocolate, I’m going to have to pass at breakfast-time…I’m more into the fruity kind of sweetness at that time of the day. Although it’s a good thing I am ways down for brinner- can’t wait to try this out, girl! I love cookies slightly underbaked but my favorite variety would have to be straight out the freezer- the latter just tastes so darn delicious! Odd fact about me – I love but butter. I love oats. I hate but butter in oats. I know, I know, so weird. Still though, I’m happy to report that sugar is back on my menu!! Wait. but, but , but what? Cookie for breakfast? Brain cannot compute. I must have this! Ok why did I NOT check your blog before I made breakfast this morning? Breakfast was a wheat tortilla, apple and chocolate dreams PB because I was literally lacking in motivation and time. lol how sad. THIS will be breakfast tomorrow morning though I can guarantee that!! Ohhh yummoooo this looks delish! I used to hate anything with cookie dough and cookie dough itself. But as I get older I kind of have no self control if I’m even near it. 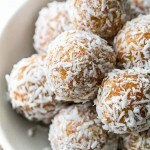 I love how you use almond in so many of your recipes! THIS. LOOKS. AMAZING. Can’t wait to make it! You are so creative! This looks wonderful! Goodness, this looks fabulous! I’m always looking for more vegan Breakfast recipes since I tend to get quite repetitive with mine. So trying this out tomorrow so I can take it on the go to work! Eee! Lemme know what you think! P.S. Where o where do you get those cute little spoons!? So many bloggers have them and I am so envious! Ahhhhh YES PLEASE. I think we must have some sort of mental connection or something, because I was JUST planning on doing some sort of oatmeal breakfast bake. Cookie dough didn’t come to mind as a possible flavor combination though, so you win this one ;). This would also be perfect for when you have company and don’t want to spend time flipping eggs all morning. Just bake and eat! Chocolate for breakfast – YAY. Is that even a real question? This looks SO good! I’m gonna have to try this ASAP! Post-workout breakfast here I come. 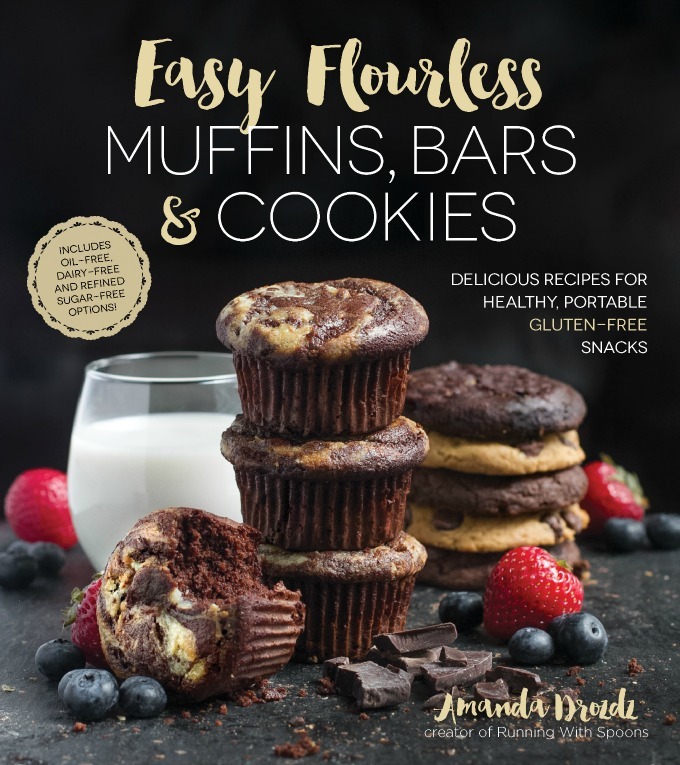 I’m honestly not sure how GF flour would work, but seeing as there’s no gluten in these anyways, I’d -guess- that it would be fine. If you have oats, you can make your own oat flour by grinding them in a blender or food processor. This looks so good, I love the last shot with your empty bowl!! ATTA GIRL! I should try this sometime to jazz up my berries on berries on BERRIES oatmeal! You know my thoughts on cookie dough especially for breakfast. Like the baked twist on it- I’m pretty easy with cookies- but when it’s hot, slightly under baked but with coffee- a firm one…for dunking purposes! Miss you love! Had to stop by and say hello! Pinned!! Thanks so much for sharing–this looks like a great breakfast option (and something different from my usual bowl of granola or oat meal). Stopping in from SITS Sharefest and hope you’re enjoying your weekend!! You know I love my eggs for breakfast, but a certain someone (read the Hubby) just came home for the summer (insert excited squeak and jazz hands galore right here), and he does like oatmeal in the morning and he’ll eat chocolate any time of day. He’s also pretty adept in the kitchen so I’ll be sharing this recipe with him. I think he’ll love it. I want this now. So bad! Hearing you talk about getting up at 5am makes me want to do an overhaul on my sleep schedule. But maybe once I’m not working until 8pm most nights. It is hard to wind down! I love mornings! I’ve now decided I need to have chocolate with breakfast ASAP. Yum! This looks amazing! I want one. I’m stopping by from SITS & I’m a new follower. Happy Saturday! I just made this (at 4:00 pm mind you) and it was absolutely delicious! I’m already prepping another one so I can have it for breakfast tomorrow! Thanks for the awesome recipe! Love your blog! Would this recipe work with chickpea or lentil flour? I’m honestly not sure since I’ve never worked with either, but I don’t see why not since you don’t have to worry so much about the cookie rising or anything. It’s definitely worth a shot! Did it the same day i saw it And Its amazing!!! I’m making another tomorrow, maybe 2 to share on my office at break time. Thanks a lot!! I’m not usually an oatmeal lover (please don’t hate me… please), but anything that looks like a giant cookie is magical in my book. When and if the 90* temperatures go away, this is on the menu. Swoon. Swoon. Swoon. That is what you have me doing right now. I used to always pig out on cookie dough in my younger years. Man, was the the life! Haha! Love the going-going-gone shots! 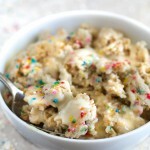 I’m all about some cookie dough…especially when it’s acceptable to eat for breakfast! And as far as cookies go, don’t come NEAR me with a crunchy one…soft and gooey is the only way to go! I have a little who is allergic to nuts and we don’t care for sunflower seed butter. Any substitutions for the nut butter? The nut butter is mostly for a little added moisture, so you could try something like a few tablespoons of mashed banana instead. Or maybe coconut butter? Hey, just found your blog 🙂 THIS LOOKS AMAZING. The perfect amount for 1. I might consider soaking the oats, and then making some morning yumminess. FINALLY made this and it was an absolute tastebud explosion. made it per recipe for my guy and he can’t get enough lol. he is eating round 2 for breakfast today! for myself i substituted a banana for the applesauce because i can’t eat it, and holy wow was it delicious 🙂 choco banana yum! I can’t stop talking about this recipe. I made it tonight for dinner, and I think I could probably eat my weight in it. I had some dental work done recently, so I’m on a soft food diet at the moment, and this beautiful treat lifted my spirits! Thanks so, so much for sharing! Would pumpkin be a good replacement for the applesauce? 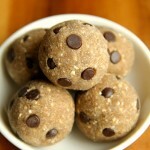 Do you think I could use quick oats instead of rolled oats, both for the actual oats and to make the oat flour? I have a big, tall package of quick oats and would hate to buy another thing of rolled oats if I don’t have to. Quick oats should be fine, Leanne! Delicious!! 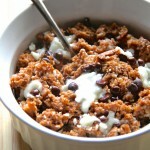 This is the best baked oatmeal I have ever had!! Thanks!! What size ramekin do you use? Just so you know, I’ve even this for breakfast almost every day for the last month or more. Thank you! Made this for breakfast this morning and absolutely loved it! Have this in the oven now and all i’ve tasted so far was the spoon and it was deeelish. I love having individual servings like this. Can make ahead and just reheat. I didn’t have almond meal but did have raw almonds which i threw into my nutribullet. Instant almond meal. Can’t wait to eat this. 7 mins left. Single-serve breakfasts are my favourite as well. I hope you liked it, Cari! this looks awesome!!! however, nut allergies. what is a good sub for nut butters? i assume it is what keeps things together. Do you have the nutritional information (calories/fat/etc.) for this recipe? I just made this tonight. I must say, it was pretty amazing. I made it with oat flour and honey rather than maple syrup. It truly is a more healthy alternative to eating cookie dough (which everyone needs to do from time to time, right?). Must admit, I was pretty skeptical when I tasted the batter; but I was 100% convinced when I tried a bite fresh out of the oven. This had a perfect texture and was absolutely delicious! I used peanut butter and oat flour. While I did like the peanut butter flavor, I probably would have preferred a more vanilla-like flavor because the peanut butter was a bit overpowering. That said, it was still very tasty and easy to put together! 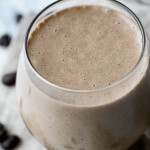 I’m glad I found your website, I already tried your chocolate oatmeal smoothie and it was great! I have a small suggestion: Would you mind adding calorie estimates to your recipes? I love how your recipes are all very organic and healthy but I would also like to factor in the amount of energy they provide. Of course I can calculate myself (the chocolate smoothie is roughly 400 calories 😉 ) but it would be great to know about that at a glance! Thanks so much for your input, Jerry! I actually started adding nutritional information to all my newer recipe posts, but I’m still getting around to updating the older ones.